KBNO, KUVO and Music Appreciation Society brings the best of Latin America to Denver. We will travel to Bolivia with the ‘provocative and brilliant’ artist, Gian-Carla Tisera. 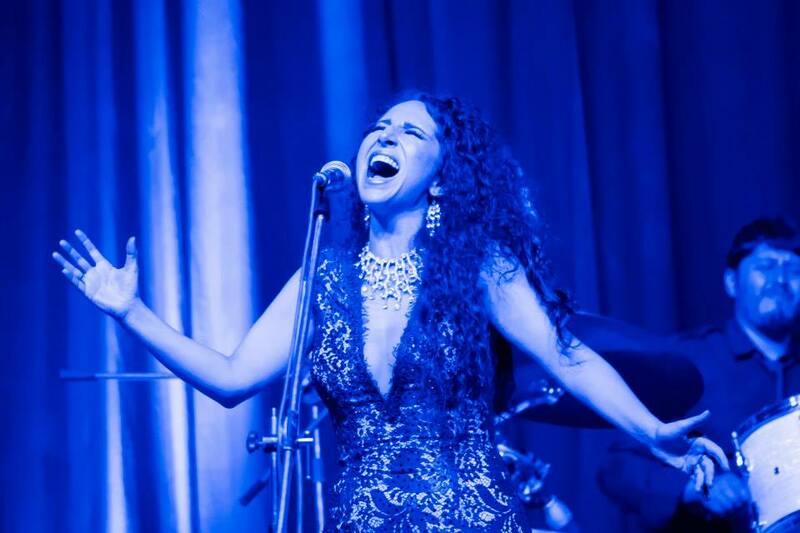 She will present stunningly bold and daring crossings between opera, Latin American folk music, jazz, political song, and roots music sure to delight spanish speakers, latin music fans in the latin and anglo communities of Denver. Come show your support of this special International programming you will only find here – this evening – at Baur’s Listening Lounge. In August, 2014 Gian-Carla released her debut album, Nora la Bella, which was chosen Album of the Week by Latin Jazz Net, and of which critics rave: ‘You’ve never heard anything like Gian-Carla Tisera’s Nora la Bella…it’s quite possibly a game-changer…you can only welcome it entirely, and you can’t help but admire her bravado. This is Tisera’s jazz opera, and it is righteous’ (The Examiner). In 2014 Nora la Bella made the charts for the Grammy Awards in four categories: Album of the Year, Best New Artist, Best Latin Jazz Album and Best Music Video. co-produced by Grammy nominated Steinway jazz pianist and composer Elio Villafranca who will be in Denver with his Trio to back Gian-Carla in this ground-breaking performance. Tisera’s music is an extraordinary result of her story and her personal search. She was raised in Cochabamba, Bolivia and studied music at Instituto Eduardo Laredo. She later moved to Los Angeles, California, where she completed her Undergraduate and Masters Degree in Opera Performance at the University of Southern California. Since 2008 she lives in New York, where she arrived as a traditional opera singer and paradoxically, found herself re-united with the folk music of her homeland. In New York she also discovered the liberating force of Jazz. In “Nora la Bella” Tisera sings in English, Spanish, Italian and Quechua, one of the main indigenous languages of Bolivia. The album is produced by Tisera and by twice Grammy nominated Cuban pianist, Elio Villafranca. Throughout the recording Tisera is joined by a dream team of world renowned musicians, including Villafranca at the piano, trumpeter Diego Urcola, and five-time Grammy Award-winning bassist, John Benitez, among others. Recent progressive projects include Luminosa Project, her new duo with pianist A.J. Khaw in which classical and jazz idioms color traditional and non-traditional songs with socio-political artistic expressions and via thought-provoking collaborations with world music and experimental artists. Join us to celebrate and participate in this amazing artistic vision on this special Sunday in Denver with Gian-Carla Tisera – In Concert backed by the Steinway Artist – Elio Villafranca Trio – only at Baur’s. “A performer with stunning power and warmth”.